A quiet philatelist, George H. Kaestlin joined the original Rossika Society in 1935 along with the better known Theo B. Lavroff and K. Szymanowski. Whereas Lavroff contributed significantly to Russian philately as an author and researcher and Szymanowski was an avid collector, Kaestlin collected privately. Born in Moscow, circa 1893, Kaestlin arrived in England in 1939. After World War II, When the original Rossika dissolved, he did not join the newly reconstituted Rossica Society of the United States. He never wrote for any philatelic magazine, never joined the London-based British Society of Russian Philately, and never showed his material at any exhibition. Thus he managed to elude notice in the literature of the times and receded into obscurity. Kaestlin’s exceedingly remarkable contribution, however, is found in the quality and scope of his collection and in the preservation of the treasures he acquired (many from the legendary Faberge collection).Kaestlin’s attention to detail and fastidious collecting habits are evident in the layout and handwriting in his albums. His collection, donated to the Smithsonian Institution in 1984 by his niece Vera Madeleine Kaestlin-Bock, includes more than 1,250 album pages on which he organized more than 14,000 Imperial Russian and zemstvo stamps. The quality of the stamps is outstanding. With the publication of this book, Kaestlin can finally take his place among the greats of Russian philately. The G.H. 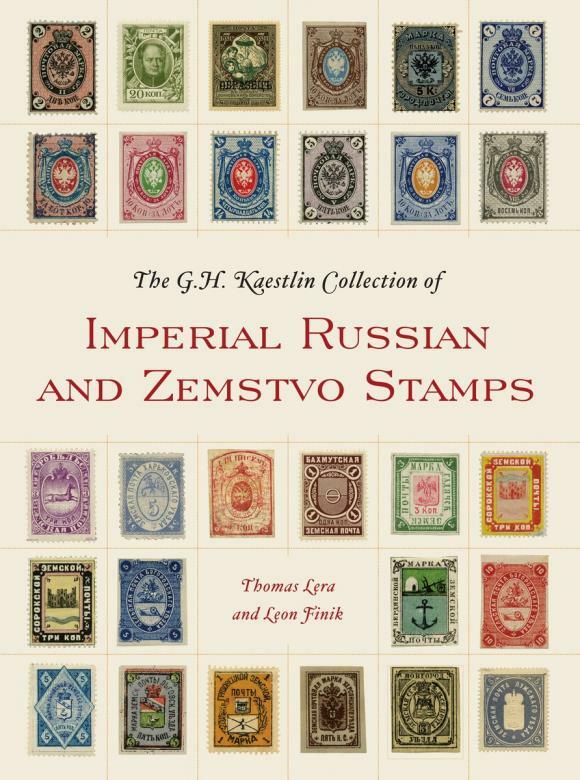 Kaestlin Collection of Imperial Russian and Zemstvo Stamps is one of the greatest museum collections outside of Russia.